"MSNBC’s Chuck Todd Says It’s Not His Job To Challenge Republican Lies"
Newspapers have, or did once upon a time, style books which prescribe matters of grammar, punctuation, and spelling so that what the newspapers print is consistent. The stylebooks also took up issues such as how to avoid libel when handling derogatory material about people and matters of truth and accuracy. One of the sections in the stylebook of the last newspaper I worked for full time said never print anything, even in a quotation, that you know or suspect to be untrue. If you are quoting an untruthful or inaccurate statement, fact check it for a reliable and accessible source that can be cited. Just how one handled the information depended on the circumstances and occasion for the story. Often, the wrong information would not be printed. If, however, an influential person said something wrong, it would be printed with careful attribution, but the correct information would be cited in order to establish what is known about the issue in question. Facts were handled by reputable newspapers with great care and effort because the credibility and reliability of the newspaper as a source of information was at stake. The task of reporters and editors was to get the facts straight and make sure they were presented. The electronic media, radio and television, changed the rules of journalism. As primarily entertainment media, they cater to whatever attracts people to listen and watch them, often in ways that overrule the basic premise of journalism. They developed a concept of "balance" in reporting that shifts from focusing on the facts to focusing on personalities. They rely on sound bites from personalities as the major source of news stories, and if someone says something that seems untrue or inaccurate, they find a contending person from which to obtain a sound bite. Eventually, this concept of balance results in the formation of panels which bicker endlessly over the topics at issue. No reporters or editors are searching and digging to establish the most correct and accurate presentation of facts.That shift in emphasis is what makes it possible for Chuck Todd to say that challenging factual accuracy is not part of his job. When Kevin Woster, a longtime print journalist who ended up working in television, announced his retirement from KELO-TV, he pointed out this distinction. He pointed out the amount of time and energy needed to do the production involved in what now is considered a good television story in contrast with the job of a reporter concerned more with the facts: "You’re expected to know more and tell more in the newspaper game. You work sources more, dig deeper, explain things to greater detail." There is no doubt that journalism in general is not much devoted to defining facts as it is trying hold on to and build audiences. To stay alive, newspapers have cut back on news staffs and have short-circuited the editorial process. In former times, a news story submitted by a reporter would first be submitted to the news desk to be gone over by editors, then sent up to the copy desk to be checked over before being set in type, and then the type-set version would be proof read. As an editor, my stories went straight to the copy desk, but after they appeared in print, they would be reviewed at the daily morning news conference of the editors as they went over the previous day's work and planned and made assignments for that day's newspaper. If an editor made an error or a poor judgment, the or she would be called out. In many papers today, the news stories go straight from the reporter's computer to the news bank from which a layout editor draws the stories to make up the day's paper. The stories do not face the factual and stylistic checks and rewrites that once were the standard procedures of producing a newspaper. The consequence of how technology and audience competition have changed the values on which the media compose news is the blizzard of false and distorted information. Rather than provide people with with informations that undergoes a constant process of verification and refinement, the media has become a guessing fountain of misinformation and disinformation and specious and scurrilous gossip in which make little attempt to define what the actual facts are. The people find themselves awash in information that can't be trusted, and so they lose interest in knowledge and believe whatever suits their temperament of the time. Russia has resumed its campaigns of disinformation and misinformation to fool people into submitting to its political designs. But then, so do the political and corporate forces that have designs on America. The deterioration of the media into mindless entertainment between the commercials makes it possible for people like Donald Trump to be serious contenders for running the country. Don't shut down the Clinton Foundation; move it to a more qualified country. Early this year, I participated in a discussion meeting that was about what organizations and efforts were benefitting humankind the most throughout the world. The point was raised about how much former U.S. presidents, such as Jimmy Carter and Bill Clinton, did to effectuate significant benefits worldwide. Among the discussants were a prominent theologian and a political scientist, who prefers to call himself a professor of political theory and practice. They reviewed in some detail the kind of activities in which former presidents involved themselves, and in a prescient moment the political scientist talked about how Hillary Clinton's connection with her husband's foundation would be used to attack her integrity. He maintained that the successful fundraising activities, which include donations from foreign countries, corporations, and wealthy and powerful individuals, would be used to fabricate accusations intended to discredit her. The Clintons have inspired in their opponents a level of malice that seems to have no depth limits. The theologian and political scientist predicted that the purpose of the Foundation would be ignored while the opponents would contrive conspiracies of the kind characterized by the false Benghazi claims against her, which the GOP had to give up. The two men said that an organization that benefits humankind as much as the Clinton Foundation should not be jeopardized by the malice that is endemic in the GOP. They said that trying to set up and maintain a humanitarian enterprise in the U.S. has become like setting up a Salvation Army mission in Isis or Taliban lands. They said that rather than end or curtail the mission of the Clinton Foundation, it would serve the world better to move its base of operations to another country. They claimed that Canada and the Scandinavian countries would welcome the Foundation and support its expansion. Most of the discussants in the meeting agreed that the political and moral climate of the United States was no longer a fitting place from which to operate humanitarian programs. While many, perhaps a majority, support them, their adversaries create a formidable impediment, often an obstacle, to their efficient and successful operation. Health is a big focus. In more than 70 countries, according to the foundation, it helps 11.5 million people, including 800,000 children, with HIV/AIDS get their medication at 90% lower cost -- more than half the adults and three-quarters of the children getting treatment in the world today. But it does all kinds of other work as well. For instance, it helps East African farmers get better seeds and fertilizers. It supported Nepal's reconstruction after the 2015 earthquakes. And it has connected more than 500,000 Latin Americans to job training and entrepreneurship opportunities. The Clinton Foundation does tons of work in the US, too. Some examples: It has a school program that operates in every state, affecting more than 31,000 schools and 18 million students by its count. That program is to improve physical education, child nutrition, health education and staff wellness programs. They also work on prescription drug addiction. The foundation wants to halve the number of opioid overdoses -- right now those drugs kill more Americans than car accidents. Hillary Clinton should not agree to restrict the Foundation in such a way as to end or curtail any of those activities. Rather, move to a base of operations where it can continue, expand, and garner more support for the good it does, rather than satisfy the ill will of the opposition party in the U.S.
And if Donald Trump should become president, the Foundation would be beyond the reach of the misanthropic designs of the Republican party. The U.S. could receive what it has come to deserve, but the rest of the world could go on trying to build up the state of humankind. Now where did all the ducks go? For a couple of decades, I have traveled between Aberdeen and Tacoma Park, where I have a place I have use as work studio, on a daily basis. I have previously written about the disappearance of animal life along the way. A few years past, the drive would take me past some horse pastures, some places where lambs would frisk in the spring, and some huge herds of cattle. But those places have all been converted to cropland. The conversion of the prairie into factory farms has eliminated livestock on the land. And people, too. The significance of that conversion has its effects on the human, domestic animal, and wildlife populations. As I travel through the country, there is little to observe but the limitless fields of corn and soybeans. There is little else. Many years ago I was the farm editor for a Midwest newspaper. Driving through the countryside was not a lonely experience then. As one passed by farmsteads, it was always easy to see which ones had children. Kids were always outside. Younger ones could be seen on swing sets, bicycles, under basketball hoops on garages or barns, doing what kids do. Often one could see them in the farmyard training and grooming their 4-H animals. Older teen-agers tended to hang out around cars of friends who dropped by. And if one traveled the countryside on Sundays or holidays, it was common to see large family or neighborhood gatherings under the trees around tables laden with food. There was always the activity of a busy community. When I travel the country side today, I may see some farmyards with swing sets, but never any children on them. If I ever do encounter another human, it is usually a lone person on a lawn tractor mowing the yard. What is striking about the rural landscape today is the desolation. In the past two years, another place of life has been covered over by the factory farms. The potholes which always contained waterfowl are gone. I had gotten accustomed to seeing ducks feeding, the divers with their butts in the air. 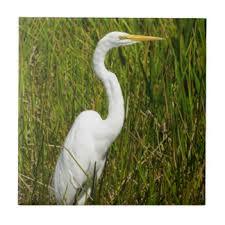 Along the shores of the ponds there were usually white egrets and great blue herons standing in the water plants. Often the pelicans would stop by to cruise the ponds for food. There were a couple of ponds so teeming with ducks that my son referred to them as the duck party places. Last year one of the fields across the road from Tacoma Park was leveled out with a bull dozer, removing the back water ponds. 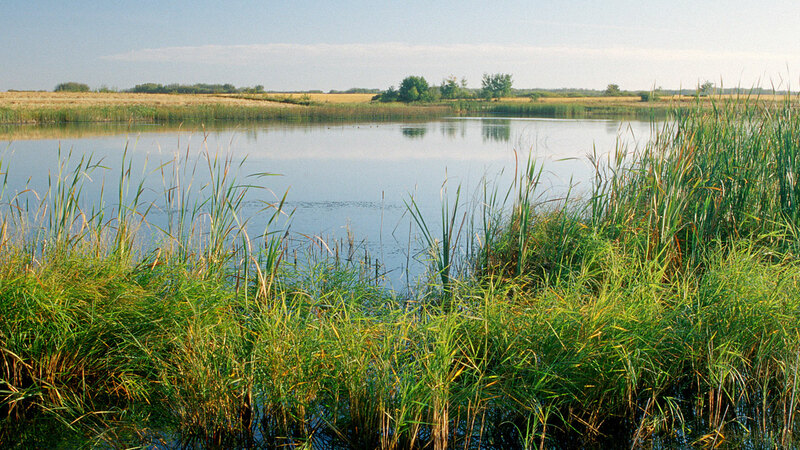 The field is planted right up to the rivers's edge. There is one pothole left along my drive to Tacoma, but for some reason it is devoid of any waterfowl, where it always seemed to teem with life. I speculate that the concentrations of agricultural runoff have made the pothole incapable of sustaining wildlife. While Ducks Unlimited and the U.S Department of Agriculture announce programs to re-establish the wetlands and maintain habitat for water fowl, the breeding grounds along my drive to Tacoma Park are mostly gone. Desolation has taken over the land. Almost everything Donald Trump says is provably wrong. PolitiFact says that 76 percent of statements by Trump that it checked were false. Aside from the juvenile insults and abuse he spews, he constantly makes up lies. He demonstrates every time he opens his mouth that he has a fifth-grade bully's mentality and multiple personality disorders. But he is the one the GOP voters chose as their presidential candidate. Not that some other contenders, such as Ted Cruz, would be much different. Although a few Republicans repudiate him, he has a large number of followers. Until he was spurred into an insane rage by the Khan family, he was holding even with Hillary Clinton in the polls. But if American voters can elevate a wretch like Trump to be the candidate of a major party, they can rally and put him into the presidency. Remember: Half the people are below average. All the attention given to Trump misdirects attention away from the real reason that the United States is at a tipping point. Trump is not the problem. The people who are attracted to him are. Trump is the kind of person that our parents, our teachers, our pastors define as the ultimate human failure, as the kind of person to avoid and avoid becoming. So, why would so many people choose him as a leader? To do so, they they have to give up the values of honesty, respect, and good will that are the base from which America launches its quest for freedom, equality, and justice. At every campaign appearance, Trump blatantly flouts those qualities. So why do so many people cling to a person who constantly makes things up that are so easy to disprove? It is because he tells the lies that his adherents prefer to believe. The anti-intellectual faction cultivated by the Republican party cherishes and takes pride in its ignorance and its inability and refusal to handle factual information. Social scientists have studied this mentality over the years. When people's beliefs in false facts are challenged, rather than examine them, they feel threatened, reject any conflicting information, and lock down on their preferred beliefs. Appeals to reason with verifiable facts makes them cling to their false notions more desperately. Some months ago, I noted, along with other observers of history, that the rise of Donald Trump put America on a parallel track with Germany of the 1930s. The Nazis played to a sense of shame at being defeated in World War I and to white supremacy and its accompanying racial and ethnic hatreds within the people to engineer its takeover of Germany and much of Europe. Trump portrays American progress in dealing with racial and international conflicts as a state of decline. Americans who hid their racial hatreds and their deficiencies of thought and character following the civil rights movement, now openly express and practice those traits of character. They have revived the spirit of Jim Crow. They feel that if a billionaire and reality television star can openly demonstrate ignorance, stupidity, and the perverse characteristics of human nature, so can they. A person who was once a state legislator and the minister of fundamentalist church took issue with that post. We got into an exchange about what sources of information provide reliability and integrity, and he cited sources such as Breibart--proven fabricators and deliberate misconstruers--over fact checks such as Politifact and the Washington Post's Fact Checker as credible sources. A man with presumably some education who is in the business of interpreting texts chooses spurious and scurrilous sources over those that make earnest and professional efforts at determining truth and accuracy. His comments are a case study in how prejudice and mental attitude nullifies any inclination toward intellectual integrity. And as is the case in most such exchanges, he turns to Trump-like denigrations and malevolent accusations at the end. It is not Trump, then, who is responsible for the descent of American politics into insane-asylum incoherence. It is those people who education has failed and who have failed education. The divide is not between liberals and conservatives. It is between those who value the development of intelligence and those who give in to the malignancies of the human spirit. If Trump were to be elected president, that great experiment called American democracy would be at an end. The people would have proven what the skeptics have contended every since the founding of America: stupid people cannot govern themselves. And the stupid outnumber the intelligent. I am not one who thinks the American people ultimately choose rightly. Yes, we have slowly worked our way up from slavery, Jim Crow, and the all the religious and life-style oppressions that exist in the country. But Trump in thought, word, and deed expresses a desire to return to those conditions of life. Although the polls currently show a rejection of him by the majority, he has the support of the GOP and adherents who find in him a leader back to the bigotry and oppression that they long for. Just as the Germans did in the 1930s, a majority of Americans just might vote to choose malice over liberty, equality, and justice. If Trump loses, the United States will still have to deal with the malevolence he has unleashed in the electorate. If he wins, the human aspiration we called America will effectively close. And the violence that exists in so much of American life will rule. There will be no winners. People who believe in the better angels of America are ashamed of what Trump represents in their country. People who prefer to vent their hatreds and to oppress have found a way to channel their malice. America is at its tipping point. Whatever way it tips, people of good will and good purpose will have prodigious work to do and some strenuous battles to fight to allow the better angels to rule. Trump is not the villain. The people who want malice to triumph are a fact of life that will be with us no matter which way the election goes.